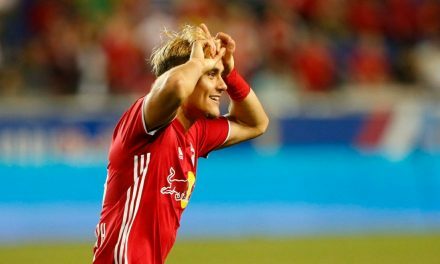 KANSAS CITY, Kan. — Kaku could be in big trouble with Major League Soccer. 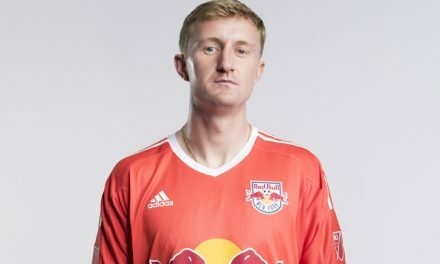 During stoppage time of the Red Bulls’ 2-2 draw at Sporting Kansas City Sunday night, the Red Bulls midfielder drilled a soccer ball close to the stands into the face of a fan. Kaku was red carded by referee Robert Sibiga in the 94th minute. 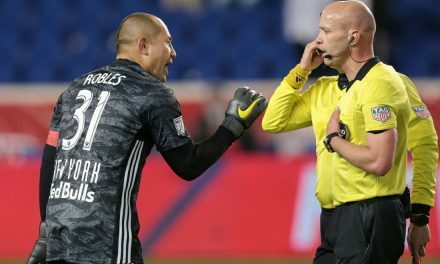 The Paraguayan international will miss next Sunday’s game at the New England Revolution and the league could tack on additional games to his suspension due to the viciousness of the incident. The fan reportedly suffered a bloody nose and needed medical attention. A pushing and shoving match ensued between both teams as words were exchanged before order was restored to the field. 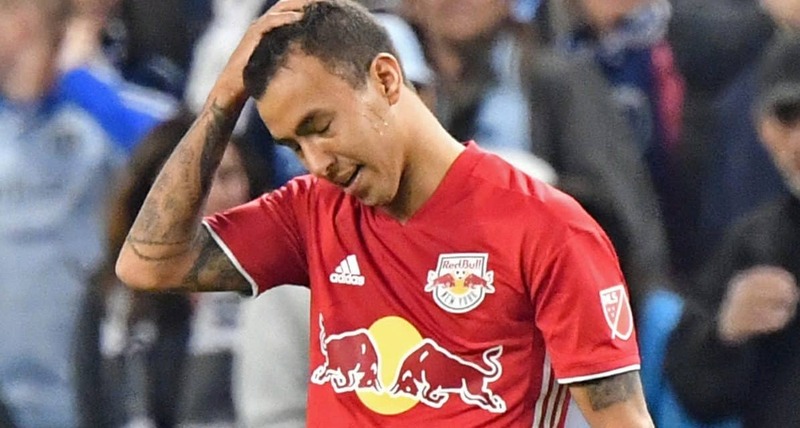 Kaku was not available for comment about the incident, although Red Bulls head coach Chris Armas apologized for the incident. 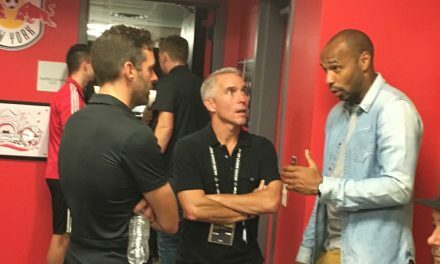 Armas said he did not see what transpired as did two Red Bulls who were interviewed after the match. The same thing went for midfielder Royer, who also scored in the final half. Fontas gave the fan his jersey after the final whistle. He said it was one of the most difficult things he has seen at a game. Kaku endured a frustrating preseason when the Red Bulls blocked his transfer desires to join Club America in Mexico. It was not known whether that frustration led to Sunday’s ill-advised incident.